Up until a year and a half ago Kevin Pitcock, owner of Peak Trading, was not a coffee drinker. And by that we mean he never drank coffee. Ever. If you’ve ever seen a Broadway show where scenery or actors “fly in” from backstage, visited a ropes course (like the new one up at Hunter Mountain), seen window washers cleaning the grit off a skyscrapers windows or witnessed an aerial rescue, chances are that the gear Kevin’s company sells was involved. 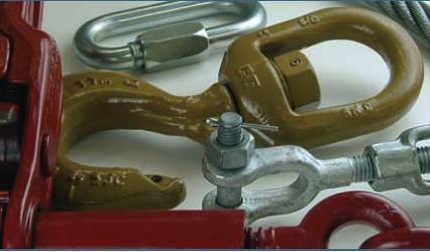 Peak trading is a wholesale distributor specializing in cable, chain, wire rope, rope, rigging hardware and more. They also manufacture slings- not the kind for your arm- the kind that can be seen lifting large steel beams for the construction of skyscrapers or bridges. Their clients include everyone from Broadway production companies, Fire Departments, Ropes courses, Rescue workers, Window washers, Bridge inspectors, Arborists, Steeple Jacks and any one else you can think of that needs to suspends, haul, repel, hang or otherwise rig. What’s your HCT regular order? If you could have a room stacked full of any one thing- what would it be? What is the most sensible thing you’ve ever heard someone say? What’s something that offends you? If you could have been at one event in history, what would it be? The signing of the US Constitution so I could ask them if they meant it to be a rigid doctrine or something modestly dynamic that takes into consideration the changing times. How has your life been different than you imagined it would be when you were a teenager?